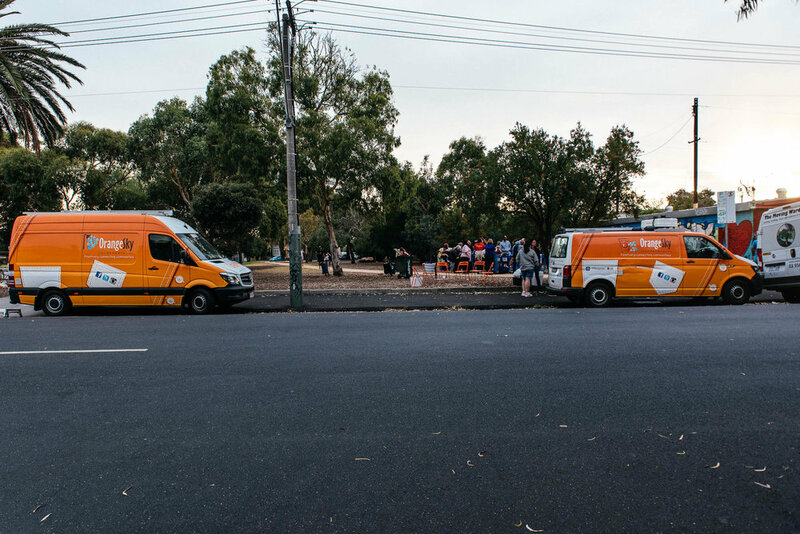 Melbourne, Sunday 5.45 pm Like every weekend, Orange Sky’s teams are setting up on the sidewalk in St Kilda, a district of Melbourne in Australia. This very cosmopolitan place welcomes tourists but also homeless and poor people. 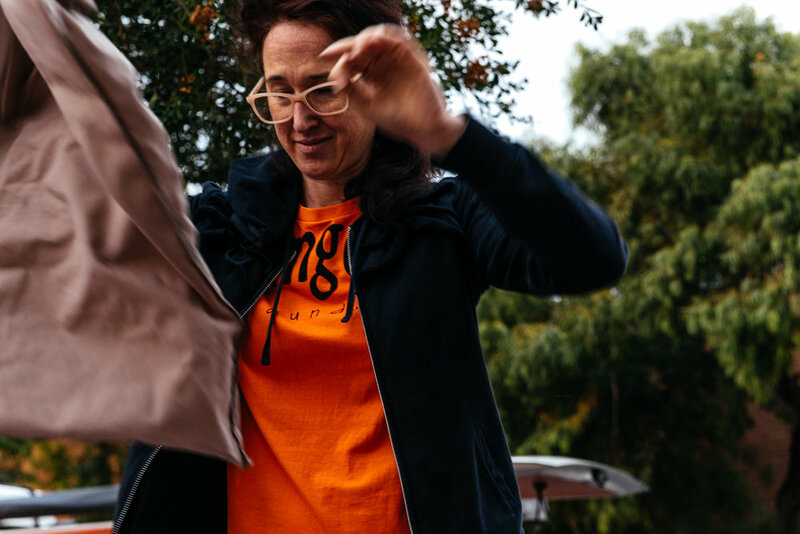 With two simple mini-vans and a few chairs, Orange Sky offers an innovative and creative service: traveling laundry and showers for people in need while weaving the social link for a conversation. This is the goal of this start-up launched in July 2014 by two 21 years old young entrepreneurs, just after high school in Brisbane, Lucas Patchett and Nicholas Marchesi. Un van coûte environ 100 000 dollars australiens (environ 64 000 euros). En juillet 2014, des entreprises mécènes permettent de concrétiser le projet. Lucas et Nicholas peuvent désormais aménager leur premier van en laverie itinérante à Brisbane. Depuis, plus de 2000 bénévoles ont rejoint l’aventure. Laver et créer du lien, quel beau mélange! En 2016, ils reçoivent d’ailleurs le prix national des “Young Australians of the Year”. According to government statistics, more than 255.000 people live thanks to social support in Australia. Big cities are most affected by poverty and homelessness, especially the country's four largest cities of Sydney, Melbourne, Brisbane and Perth. One in 200 people are homeless each night in Australia (0,5% of the population), which makes more than 100.000 people. A van costs about 100.000 australians dollars (about 64.000 euros). In July 2014, corporate sponsors help to make the project a reality. 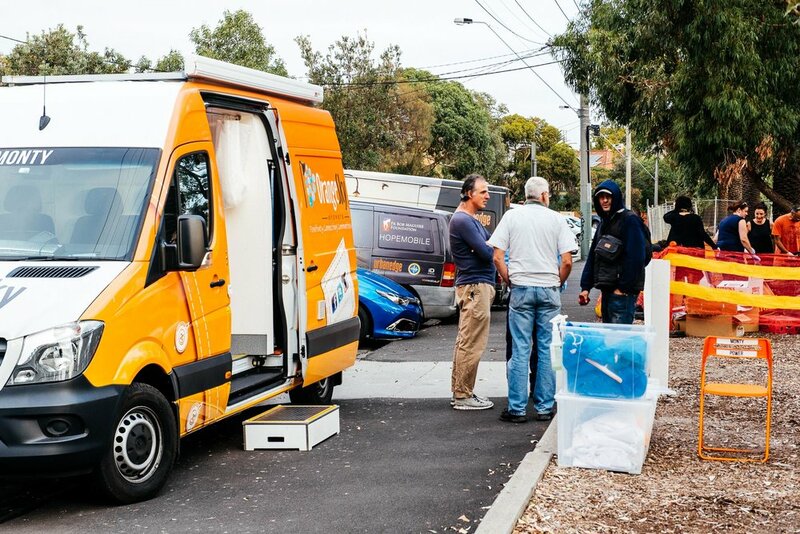 Lucas and Nicholas can now build their first mobile laundry van in Brisbane. Since then, more than 2000 volunteers have joined the adventure. Wash and bond, what a nice mix ! In 2016, they received the national prize for "Young Australians of the Year". Alfred is here this Sunday to wash his clothes. 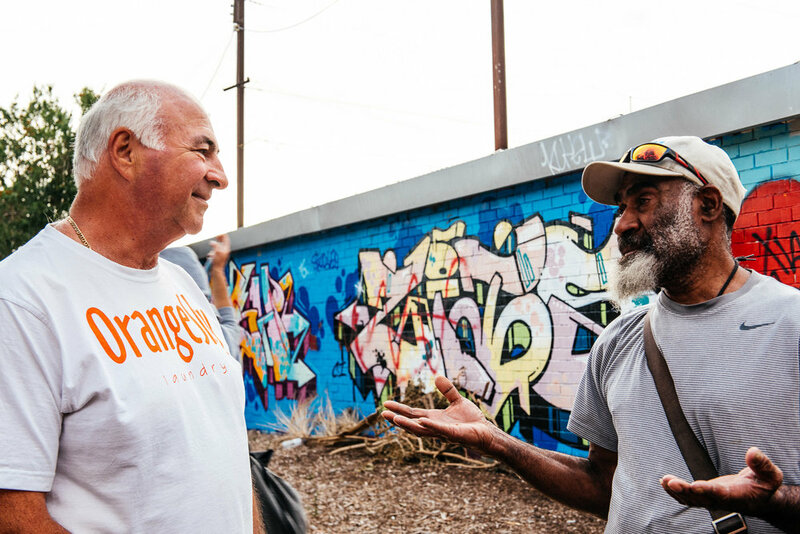 « I went to many Orange sky locations before, I've already talked to a lot of volunteers. I had all my clothes washed, dried and even ironed. Luxury service! », he says while laughing. Next to the van for laundry, the showers. 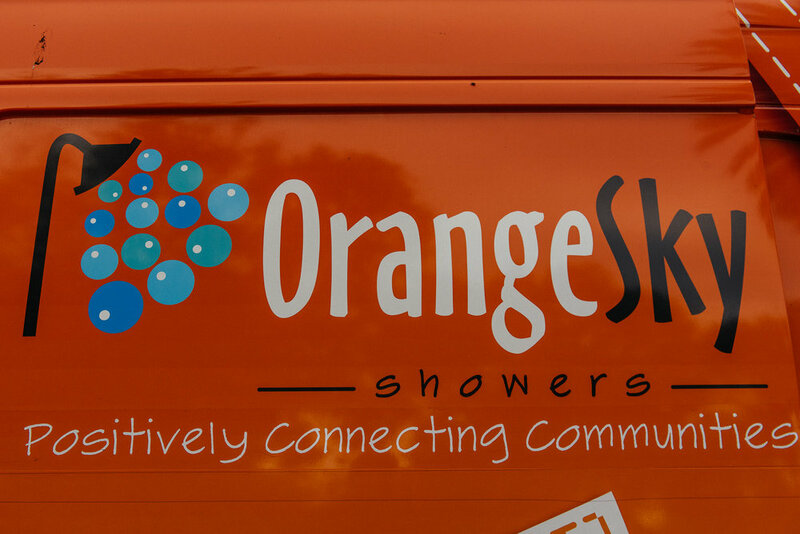 This service was recently launched and already 3000 showers have been offered. The van has 2 shower cabins and all the heater for a nice time. 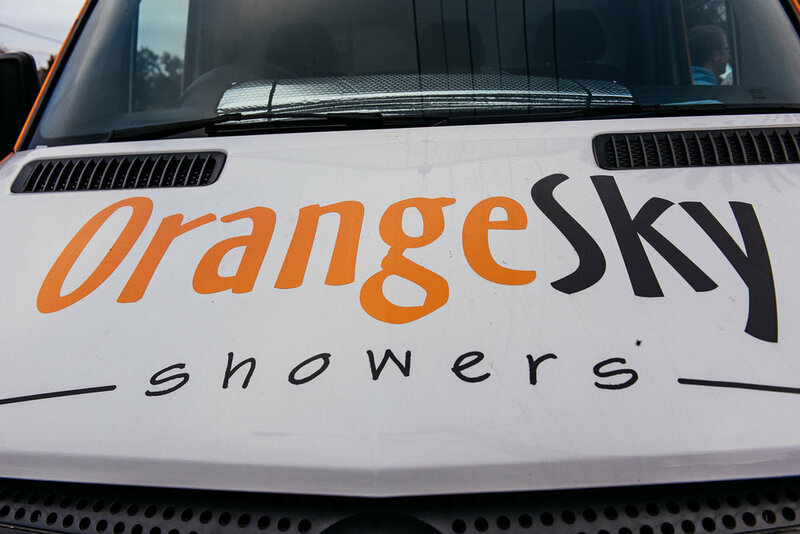 Today, just four years after the launch of the project, Orange Sky has 23 vans in 19 cities across the country and in 148 different locations. Almost 6 tons of laundry are cleaned weekly. In an hour, the clothes are washed, dried and the homeless person has benefited from a nice conversation with volunteers or others in the same situation as him. 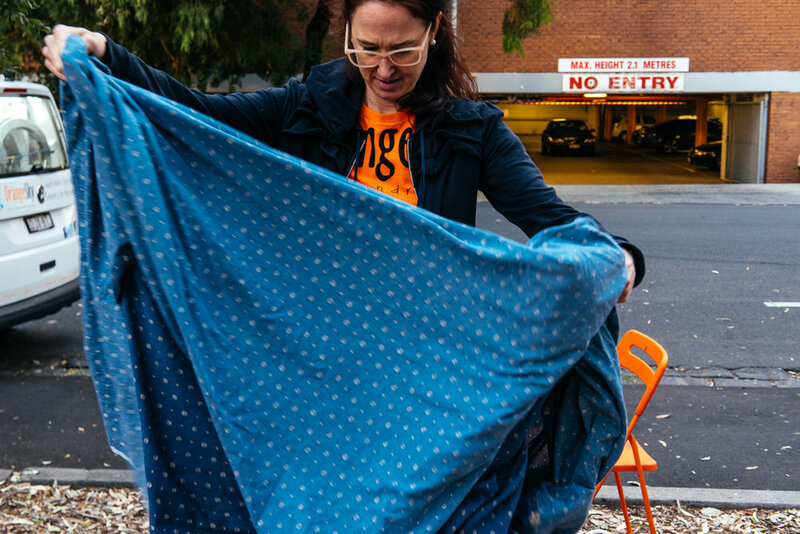 Orange Sky provides to homeless people "clean clothes and positive, non-judgmental conversations". Dignity too, certainly! And the creators of the project intend to export it to all around the world.